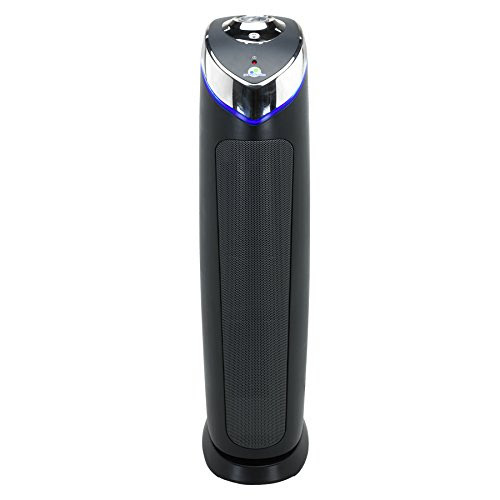 Improve indoor air quality and your health with the GermGuardian AC5000E 3-in-1 True HEPA Air Purifier System with UV Sanitizer and Odor Reduction. Doctors recommend true HEPA filter systems to help reduce exposure to indoor asthma triggers. 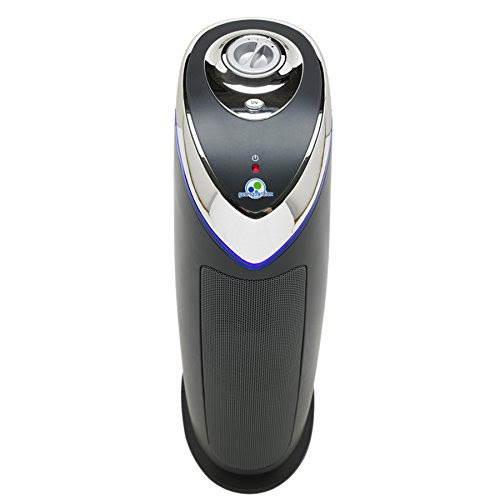 The GermGuardian AC5000E utilizes just 1 filter which has multiple layers of filtration. Firstly, the pre-filter and charcoal filter captures large particles such as dust/lint and also helps to reduce common household odors. Next, the true HEPA filter captures 99.97% of airborne particles such as dust mites, mold spores, pet dander and plant pollen. 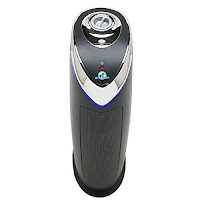 In addition to the filter system, the GermGuardian’s UV-C light helps to kill viruses, germs, bacteria and mold spores, as well as activating Titanium Dioxide to decompose odor molecules caused by smoking, cooking, and pets. Depending on usage, the GermGuardian AC5000E’s single filter only needs to be replaced around every 6-8 months. Indicator lights blink to let you know when the filter or UV light needs replacing. 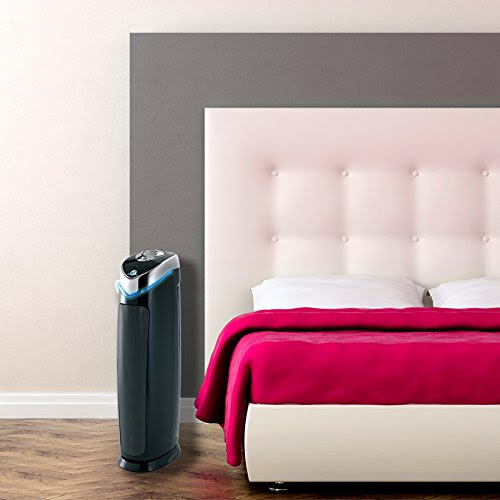 The GermGuardian AC5000E offers 3 speed settings – low, medium or high – and works fairly quietly especially on the low setting, making this air purifier suitable to use any time of the day or night. The UV-C light can be switched off if the light disturbs you at night for example. 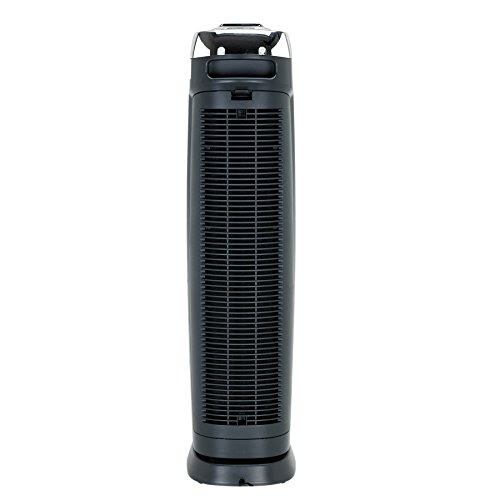 The GermGuardian AC5000E tower stands 28” tall and is best suited to medium or large sized rooms up to 193 sq ft. The AC5000E air cleaner cleans 20% more than GermGuardian’s smaller model, the AC4825. 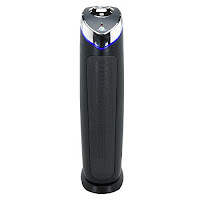 The GermGuardian AC5000E Air Purifier has a CADR (Clean Air Delivery Rate) rating of 125+ and is Energy Star certified.